I was a little afraid to re-read this book, because the first time through was so absolutely stunning, it was as if it was written for me. My first review did not do justice to its wonderful combination of mystery, introspection, and setting, so I'm setting out to rectify it. "The client already knows the solution to his mystery. But he doesn't want to know. He doesn't hire a detective to solve his mystery. He hires a detective to prove that his mystery can't be solved." Leon is a client who has requested her help finding his uncle Vic, a lawyer who disappeared during Hurricaine Katrina. He feels a little guilty: "'You know what it says in the Bible,' Leon said with resignation. 'Look out for thine uncle as you would thineself. Or whatever.'" Claire tends to lie a little if it suits seeking solutions to a mystery, and isn't entirely honest about her history to Leon. "'How old are you?' 'Forty-two,' I said. I was thirty-five. But no one trusts a woman under forty. I'd started being forty when I was twenty-nine." Claire's search brings her into contact with gangs of feral, forgotten children and with her own tumultous history as a detective, when she apprenticed in New Orleans. 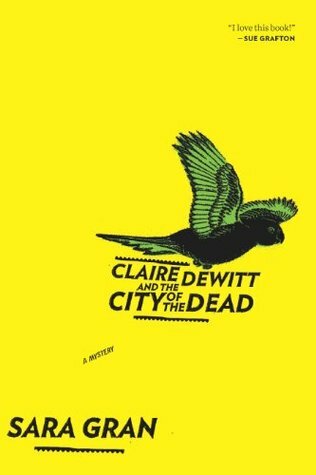 Claire frequently references a book by a famous detective (albeit fictional) whose thoughts on detecting are philosophical bon mots on mystery, truth, and humanity, as well as her history with Constance, her mentor. The time shifts flow smoothly and don't feel the intrusive into the story; in fact, they blended very well, sometimes foreshadowing the next development in the mystery. Claire's own mystery was worked in nicely, leaving a feel for her character but with a sense there is a lot more to discover. "Signs with letter missing told the story: lots of OTELS and HOT BO LED CRA FISH and AWN SH PS. In the intermediate zone I started to see the marks spray-painted on houses: circles with X's through them, numbers and letters in the hollows of the X." For those that are sensitive to it, there is proliferate drug use, but it is handled well. Without being judgmental, it is apparently an activity Claire engages in to self-medicate as well as bridge gaps between herself and other people. Interestingly, I thought Gran managed a nice balance between acknowledging the reasons for doing it at the same time showing the non-glamourous side. I can't say enough about Gran's ability with language--my Kindle copy has highlights every few pages. The factual tone and dispassionate descriptions lend themselves to the creation of emotionally blunted characters, and yet somehow Gran manages to convey humanity, tragedy and humor. Claire's sarcasm came through loud and clear, but also her love and affection for those she admires. --"He looked like he was waiting to see a doctor about an unusual lump." --"I concentrated on the goats. They were good company. They overlooked most of my personality defects and failures, my withdrawal of food from the fatties, and my inability to speak goat." --"You don't know that," Mick said, weakly trying to fake liberal outrage. --"Houses are like people, only less annoying." --"I heard Mick roll his eyes over the phone." Yet despite the humor, both Claire and Gran are very careful and compassionate with the hollow-eyed thin adolescents of New Orleans. I loved that finesse, the unwillingness to sacrifice a character or story to the villain prototype. The inclusion of the social-economic commentary elevates it beyond mere mystery to a meditation on humanity, all without sermonizing or being particularly heavy-handed.